Anyone who has been in an accident knows how chaotic and stressful it can be. Hopefully you will never have to use this information first hand, but it is always better to be prepared in these situations. 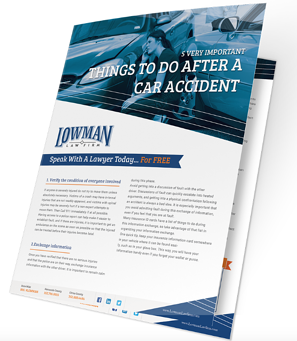 We could write an entire book on this subject, but in instances like this, people need to be able to make decisions quickly and efficiently - so we've boiled it down to the 5 most essential things to do after a car crash.